James Latta was born in Ireland in 1732, the son of Rev. James Latta and his wife Mary Alison. He came to America at an early age with his parents, who settled near Elkton, Maryland. After his mother’s brother, Rev. Francis Alison, opened an Academy near New London, Delaware, young Latta became a student at his uncle’s school. He and classmate Hugh Williamson would have the distinction of being members of the first graduating class of both Rev. Alison’s Academy (which would evolve into the University of Delaware) and the College of Philadelphia. 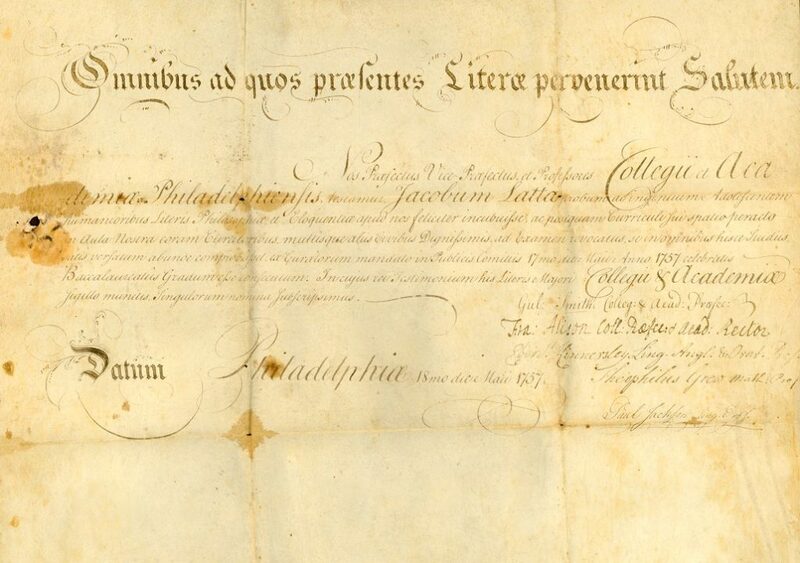 In 1758, Latta was licensed to preach by the Presbytery of Philadelphia, and in the following year was ordained and appointed to the destitute settlements of Virginia and Carolina. In 1761, he became pastor of a church at Deep Run, Bucks County, Pennsylvania, where he was stationed until 1770. 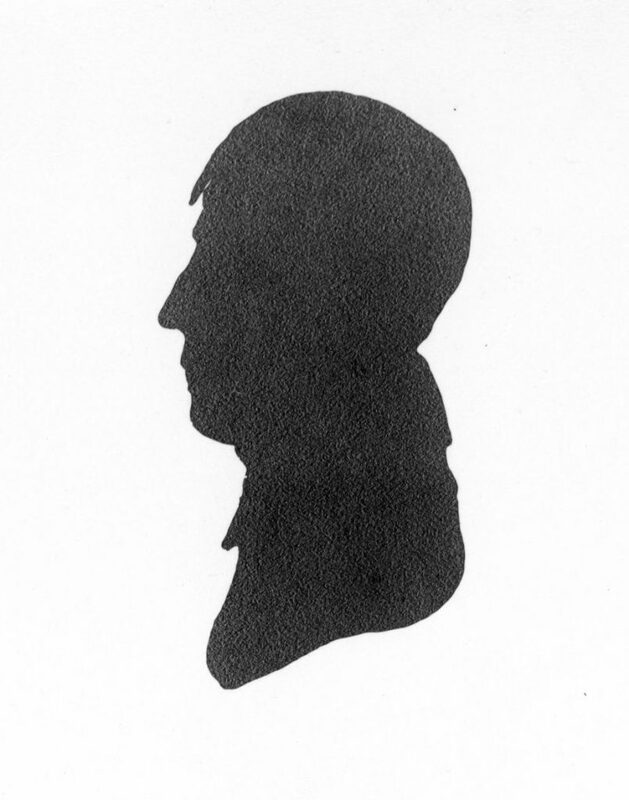 In that year, Latta resigned in order to assume the charge of Chestnut Level, Lancaster County, Pennsylvania, which he retained until his death in 1801. Latta was the Third Moderator of the General Assembly of the Presbyterian Church in America and the author of “Psalmody” and other various published writings. During the American Revolution Latta served as a private and a chaplain in the Pennsylvania Militia. He was married to Mary McCalla. Latta died at Chestnut Level, in Lancaster County, Pennsylvania, in 1801. In 1940, his original diploma was presented to the University in commemoration of its bicentennial by James Latta, a direct descendant.